Ah, yes. We make our way to the First Great Awakening. In the last post, we discussed the birth of true American culture, and the types of culture that influenced Early pre-Revolution America. However, in the long run, this tremor in American ingenuity provided something greater than the political ideas that failed in the first century of colonial existence. America, for the first time, was starting to look different in not the form of cities and people, but in the form of political and religious opportunity instead. Of course, the people in America didn’t see this at the time. John Smith, who we’ve discussed in previous posts, once claimed that the American colonies were beginning to turn into something that frightened not only him, but a whole generation of immigrants. At the time, America didn’t look like a paradise to Europeans. In fact, people residing in the superior lands of Britain and France still saw America as a failing experiment that could be heavily taxed and easily controlled. During this time in history, America lacked something Europeans loved: hierarchy. Authority, even. And nothing shows that the American colonies were running around like a chicken without a head more than the Salem Witch Trials of 1692. Salem, Massachusetts, was a backwater settlement that was located north of Boston. For several years, the people of Salem were living through economic turmoil and corrupt political arguments. Nobody really knew how to react or solve the small town of 500 to 600’s problems. Right around this time is when the witch accusations began. We oftentimes here about Salem when it comes to the history of witches, but the fact of the matter is that witch accusations weren’t uncommon during this time. They were just, simply put, ignored. In the last post, The Birth of Culture, I defined the three types of American culture. One type, which I didn’t focus on in the last post, can easily be focused on here. Vernacular, or Folk, Culture is a piece of culture that was made for only a small group of people, such as a neighborhood, family, or a small community filled with similar people, such as a specific tune for a fiddle or a handwoven quilt. In short, Folk Culture is made for small groups of people. The definition itself even focuses on small community, which Salem definitely was. The idea of “witches” was mostly common in something known as “folk religion”, or backwater religion that very few people understand or endorse. Catholics and Presbyterians allowed folk religion to exist around the world, but they were suppressed enough so that they couldn’t start anything largely accepted. In Salem, that wasn’t the case. Outcasts of the city were accused of witchcraft, and people believed it. 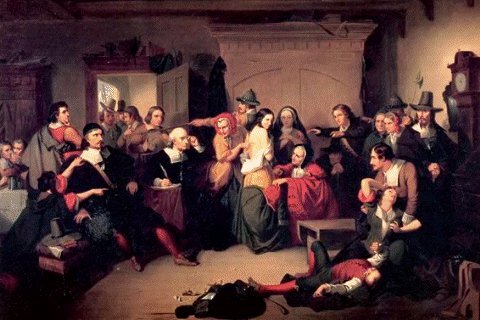 In June of 1692, Governor William Phips (1651 – 1695) instituted a special court for the Salem Witch Trials. By October of that same year, over 150 people were charged, 19 of which being hanged. The trials would be shut down after the governor’s wife was accused of being a witch, and afterwards the ministers of the area gained control of the religious ideals again. This “folk religion” died down quite a bit. To Americans, change was neither inevitable or necessarily wanted in the new world. Change occurred across most of Europe, most of it incredibly confusing and terrible for the people living through it. However, as history always shows, change ravaged the colonies whether they wanted it to or not. In 1739, The Great Awakening began as a religious revival on a personal and industrial/corporate level. New England, Pennsylvania, and Virginia were ravaged with the ideas surrounding the untouchable and unavoidable change. 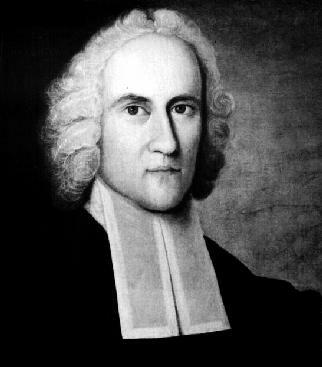 Pietism struck America like lightning, and Jonathan Edwards (who was mentioned close to the end of Post 7), along with other ministers, took their chance to change the world religiously. Jonathan Edwards would begin writing book after book, starting with “A Faithful Narrative of the Surprising Work of God” in 1736. In 1734, Jonathan Edwards’ ministry in Northampton saw a minor religious revival with their own eyes. As Edwards would later write to colleagues in England, “more than three hundred souls were brought home to Christ in this town.” However, this minor revival would soon die down after one of Edwards’ relatives committed suicide. Jonathan Edwards’ explanations and analysis were ignored in the weeks afterwards. Northampton’s Revival, much like the Salem Witch Trials, both started with young people. The new generation of people looking for explanations and answers during a period of confusion and interior problems. Both towns, Northampton and Salem, were relatively small and in transition. The upcoming generation living in Northampton were becoming landless, jobless, and restless. The upcoming generation living in Salem were living through economic and political chaos and uncertainty. Salem looked for revival through folk religion and false accusations and reasoning. Northampton looked for a revival because of Edwards’ ministry. However, Edwards wasn’t the only preacher attempting to jump start a religious revival. William Tennent (1673 – 1746) of Pennsylvania promoted pietist teachings to the best of his abilities. 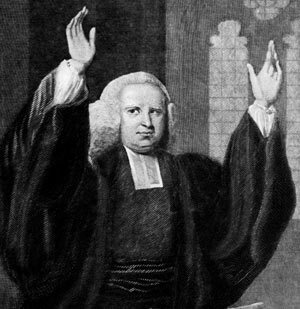 The straw that broke the camel’s back and began the massive Great Awakening was George Whitefield (1714 – 1770), who had been noted for his powerful and persuasive preaching. He had a powerful and rather beautiful speaking voice that made people want to believe whatever he said. In European History (In just a few decades, mind you), we see the same kind of back story with Modern History’s first Adolf Hitler in France, Maximilien Robespierre. In 1738, George Whitefield sailed to Georgia with intentions of opening up an orphanage. Yes, there were plenty of homeless orphans in Georgia, but nobody supported the idea George Whitefield had. So, to raise money for his orphanage, he knocked on doors across New England. While doing so, he was encouraged and invited to preach. Somewhere along this line, the people of the colonies forgot about the orphanage and Whitefield’s quest for cash, and rather large crowds gathered in the streets just to hear the English man speak. A religiously skeptical Benjamin Franklin once joined to hear just what people liked about the man. Franklin would later claim that “Whitefield could be heard by at least 30,000 people.” Keep in mind that this was back before the creation of the microphone or the amp. His voice was that strong, that charismatic, and that loved. However, a devoted deist, Franklin declined to join the Great Awakening’s converter army. He did, however, become Whitefield’s publisher, allowing his word to be spread further and faster than it had been able to before. George Whitefield soon became a celebrity, and he preached in Northampton after being invited by Jonathan Edwards, whose own minor revival had failed. Edwards continued to write books, and Sinners in the Hands of an Angry God was published in 1741. This book claimed that all unconverted men would walk across Hell for all eternity. It was basically a scare tactic that encouraged people to convert, further adding onto the Great Awakening. The Distinguishing Marks of a Work of the Spirit of God was published 1741, Some Thoughts Concerning the Present Revival of Religion was published in 1742, and Edwards’ final book, A Treatise Concerning Religious Affections, was published in 1794. These books were called the most sophisticated religious books of the century. Jonathan Edwards’ books mixed with George Whitefield’s powerful speaking brought the colonies further into the Great Awakening. Some people thought of Whitefield as a nuisance, but that didn’t stop the cultural and religious movement from spreading down to George in 1744. In 1742, Jonathan Edwards tried to cool off the factors of religion that were fighting over what was right and what needed to happen in the churches — the pro-Whitefield New Lights and the anti-Whitefield Old Lights. The people of Northampton eventually forced Edwards to resign his position, and in 1757 he was elected president of The College of New Jersey, later known as Princeton University. Jonathan Edwards, whose health was extremely frail by this point, would die of complications from vaccinations for smallpox on March 5th, 1758. If you’re looking for a happy ending, George Whitefield did eventually build his orphanage. He shuffled between England and America for the rest of his life. Ironically, the powerful speaker died of asthma in 1770. The Great Awakening can be considered one of the greatest movements in American history, and many historians have compared it to the impacts of the Civil Rights Movement during the 1960’s. The Awakening wanted new questions, new answers, new authority in religion. This unique American search for a new religious identity allowed at least three hundred and fifty churches to be built. Pro-Awakening civilians also spun off new colleges, including Ivy League Brown and Princeton. This cultural impact weakened elitist control of media with Edwards’ massive collection of books, and the people of America decided they could be “exporters of ideas to other cultures”. This arguably could be considered the first building block of Manifest Destiny, which will be seen in just under a century. The churches of America were filled, and people questioned their religious ideals. The experience of this revival can be seen again and again throughout history, and one can easily argue that The First Great Awakening is the most enduring cultural movement in in American history. And with that, post eight in this historical adventure is complete. In the next addition, we’ll be focusing on the ideas of mercantilism and how it affected American idealism.